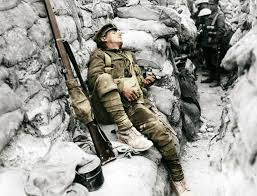 There is the song lyric “the darkest hour is just before dawn” which probably was not speaking about liquidity crises, but it could have been. 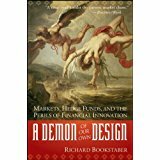 I have written a lot about liquidity crises, both in past blog posts and in my book, A Demon of Our Own Design. 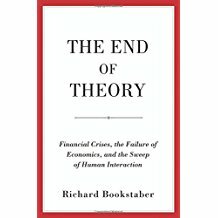 In a nutshell, the issue with a liquidity crisis is that there is a market shock that forces investors who are highly leveraged to liquidate. Their liquidation drops prices further – remember the market already had some sort of a shock, so it doesn’t take much to move prices down more – and this causes even more forced selling. You end up with a downward spiral in prices. This is helped along because some of the people who might be natural buyers run for the sidelines. They see the market is in disarray and watch a lot of apparently smart people hanging on by their fingernails, and they don’t want to take the risk. Or they want to take the risk, but their bosses, who are further removed from the scene, will think they are imprudent gamblers if they do. The end result of this cycle is that prices are determined by liquidity issues, not by value. The value players have by and large been scared away. Once the dust settles and the highly leveraged players are done bailing, everything moves back to normal, where “normal” means that prices are determined more by value again. Granted, on the margin liquidity will still affect the price. If there is a pension fund that has a large position to move, prices will adjust for that in order to find the other side of the market. But in most markets, that sort of thing will move prices a few percent here and there, if that much. Things are deservedly considered to be bad right now. There are major institutions that have gotten themselves into terrible positions. This is a crisis that has a risk of having systemic repercussions both because of its depth and because of the types of markets that are involved. So my intent is not be sounding an “all clear” siren. But I wonder if some people are confusing the liquidity-driven marks with the value-based marks, and in doing so are making things look even worse than they are. This already was on my mind when I watched the level of write-downs of positions, but the most recent event that really makes this a question to pose is the sale of assets by E-Trade for pennies on the dollar. Is that really a representation of where value is? What is the implied default rate that would make that fair value? I have seen a number of sources extrapolate the E-Trade transaction, asking what would happen if all the Level 3 positions of banks and investment banks were to be remarked based on this transaction. This seems to be a variation on the game that started a month or so ago of assessing the prospects of a bank staying in business based on the ratio of Level 3 assets to capital. I think this is an exercise that is alarmist. Level 3 positions are not all sub-prime or even all CDO. There may be Level 3 positions that are good as gold, but simply do not have comparables or models that can provide adequate marking. And it is no surprise that these institutions are highly leveraged – they typically might have a balance sheet that is twenty times their capital. So with that sort of leverage, and with the sorts of businesses they are in (remember, they tend to make markets in things that you can’t just run out and buy on an exchange), it is not surprising to me that they will have Level 3 assets that are greater than their capital. But again, “Level 3” does not mean “worthless”. Granted if you are in a position where you may be forced to liquidate, the mark to liquidity is what you are concerned about, and for E-Trade apparently that was the case. But if you have the ability to weather the storm, what will finally matter is the mark to value.